This week: pumpkin cheesecake, chicken and waffles, empanadas and more. 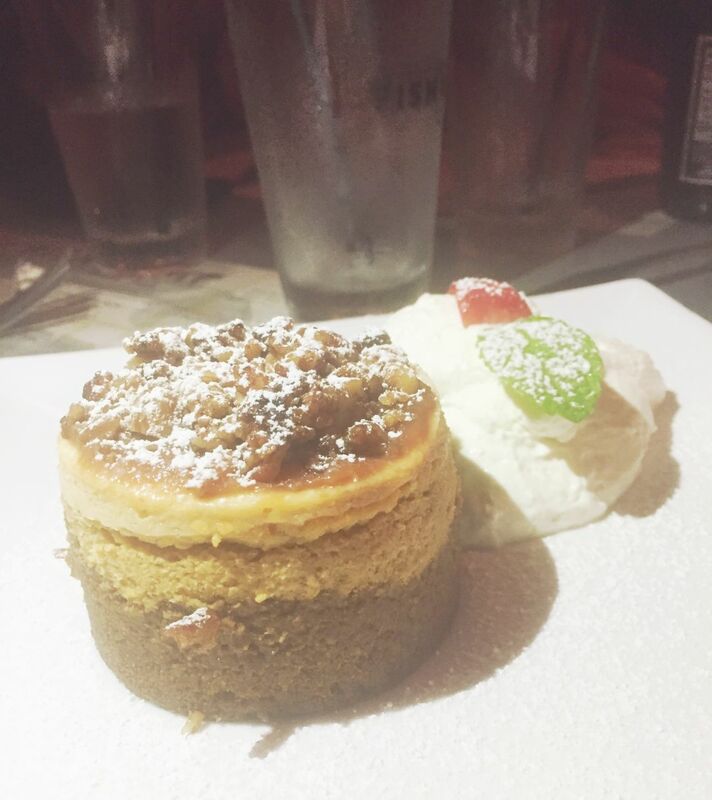 We're always on the hunt for a good seasonal dessert, and the pumpkin cheesecake at Owen's Fish Camp delivers, thanks to its crunchy gingersnap base, creamy (and perfectly spiced) pumpkin-cream cheese filling and caramel-y pecan topping. The whole thing is dusted in powdered sugar and served alongside a cloud of whipped cream. It's the perfect size for sharing, but we wouldn't blame you if you ate the whole thing. When in Venice, head straight for Darrell's, easily visible thanks to its smirking pig sign, and order the fried chicken and waffles ($14). The meat is crispy but moist and the waffle comes decorated with powdered sugar and scallions. On the side: ramekins of maple syrup and whipped butter, crunchy succotash, soft collards and a handful of fried okra with a frothy, acidic remoulade. As Southern as it gets in south county. At the newish Italian restaurant Barbosso, you are offered fine art on the walls and from the easel as artists paint as you eat. The menu celebrates the art of Italian cooking with no big surprises, but the preparations are quite good. A standout dish is the rigatoni Bolognese, which is a three-meat blend that also includes in the rich red sauce carrots, onion, cognac and a touch of cream. Completely satisfying and a generous portion too. Add a glass of chianti and you’re all set for dinner. $16. Downtown's new The Coolinary is serving up a standout mussels dish: the mollusks are served steaming hot in a white-wine garlic sauce with wakame seaweed a toasted French baguette alongside ($16). Add a glass of wine and you've got the perfect light meal for these slightly cooler November nights. 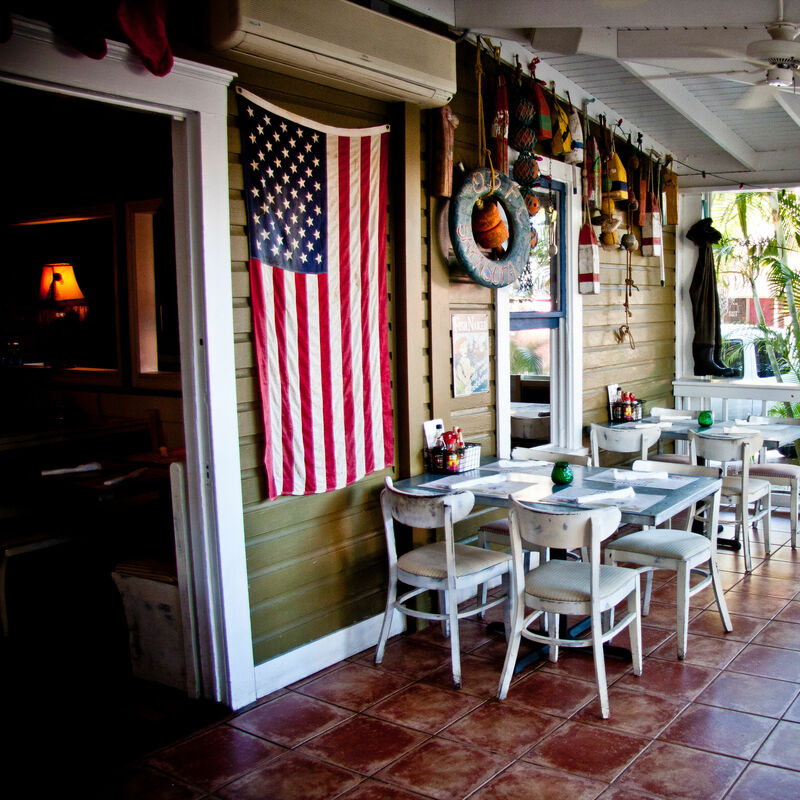 Located in a historic Burns Court cottage, Owen’s presents Southern-style cuisine with an emphasis on seafood.